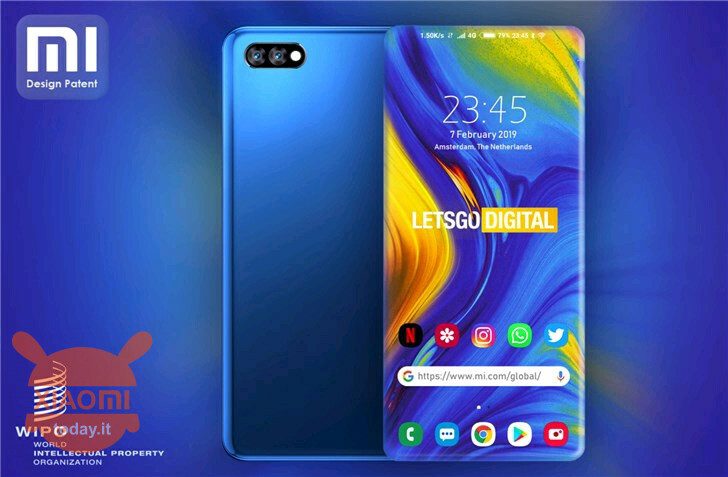 The surprises of Xiaomi do not stop at the future and chatted Mi 9 that should come out soon but also relate to the components of their smartphones. In fact, the company can count on several patents, one above all the slider mechanism that we met with the 3 Mi Mix last year. According to the latest rumors, however, another patent for Xiaomi has been published in the design database of the WIPO (World Intellectual Property Office) and would show a four-curve smartphone with a double camera on the back. 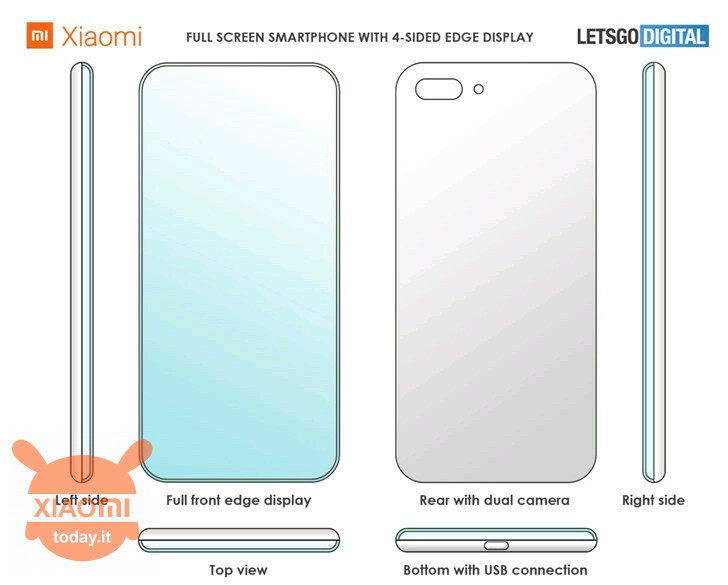 The patent in question concerns only the display and it is this component to be the curved part on the four sides of the device: the patented screen is perfectly symmetrical on the side edges, upper and lower and the curved part reaches half of the thickness. Moreover, there is no physical button on the device, as a good rule for all the devices presented for some time now and also lack the much hated chin, or the black thickness at the bottom of the display. The presence of the screen up to half the thickness of the does not miss a hole for the USB Type-C even if there is no trace of the headphone jack hole. The patent does not specify whether the device in question, perhaps the Mi Max 4 or the Mi 9 even, is equipped with a selfie camera, since holes on the screen are not seen. One might assume that it is under the display, like the fingerprint recognition sensor, even if it is quite futuristic as a hypothesis. 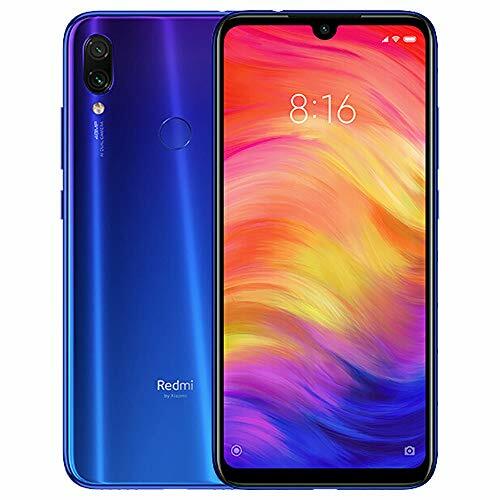 Recall that Xiaomi will also participate in the MWC 2019 conference and that therefore it is not excluded that a new product will be presented. 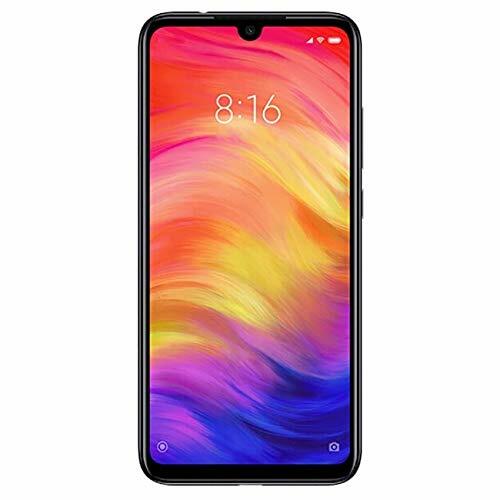 Offer - Xiaomi Redmi S2 Global (20 band) 3 / 32Gb to 141 € 2 guarantee years Europe and priority delivery Included!